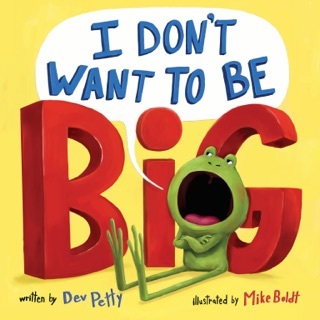 First-time author Petty's dialogue between a frog father and his son makes its point about accepting one's nature with a big grin. Boldt (Colors Versus Shapes) draws the two with exaggerated stringiness: the son is all rubber lips and sticky toes, his bespectacled father working as straight man. 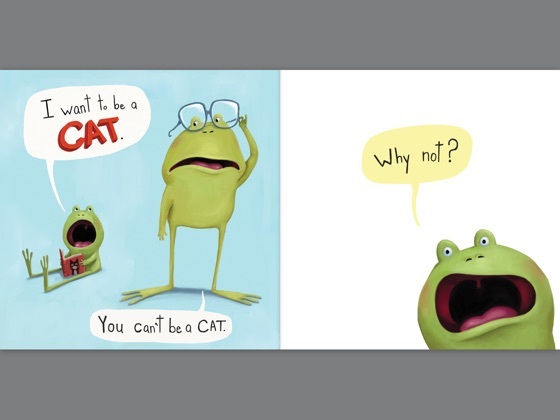 The young frog would rather be a cat, or perhaps a rabbit. 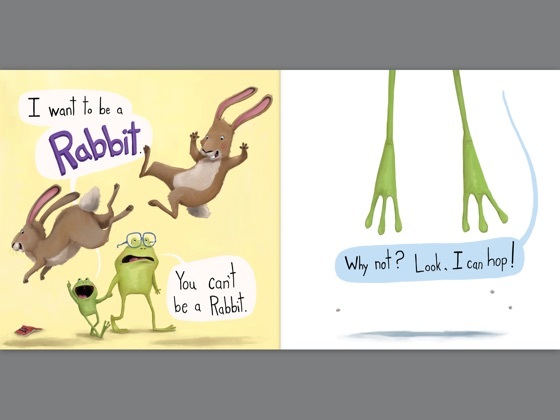 "You can't be a Rabbit," says his beleaguered father. "Why not? Look, I can hop!" "Sure, but where are your long ears?" The small frog looks up, purses his lips, and feels around his head nothing! 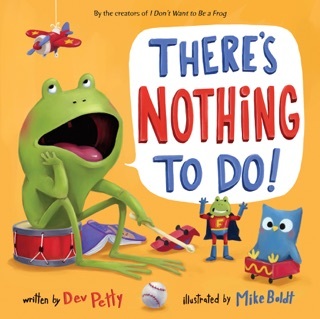 "Besides," his father adds, "what's wrong with being a Frog?" "It's too slimy," the young frog replies. 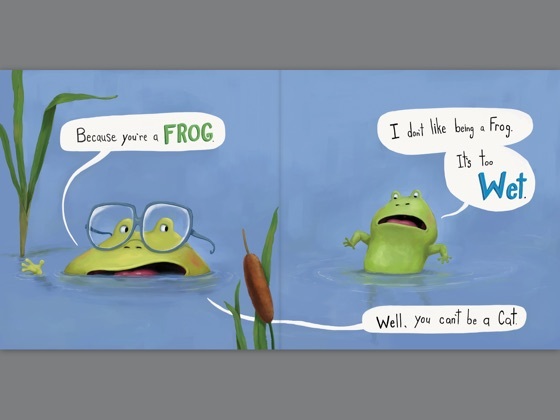 He wants to be a pig, then an owl, until a wolf appears one who loves to eat cats, rabbits, pigs, and owls, but considers frogs "too wet and slimy and full of Bugs." Now the frog sees his existence in a delightful new light. The story might create similar gratitude in the minds of readers or it might just make them giggle. Ages 3 7. 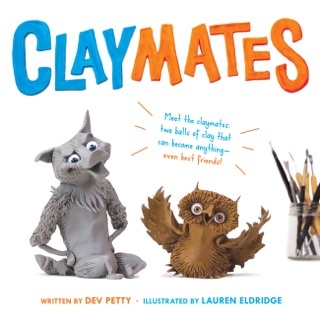 Illustrator's agent: Jennifer Rof , Andrea Brown Literary Agency. 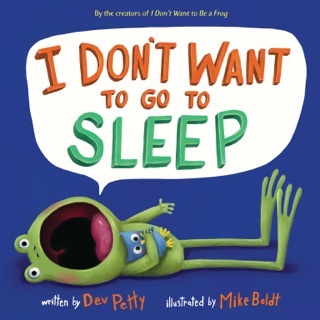 A TOADily fun story that will have your lil’ POLLIWOGS jumping with joy! 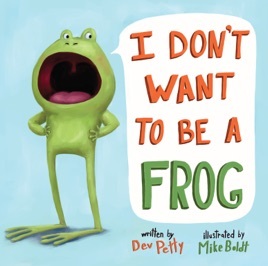 Such a dilemma for a young frog to want to be anything but a frog! He eventually realizes that there is definitely at least one BIG advantage to being a frog. The sparse words presented in speech bubbles accompany the wonderful illustrations by Mike Boldt. A lesson is told about appreciating oneself even though life may look greener on the other side.